From a pop vocal group to a jazz quarter, there's plenty to enjoy in Evanston this week. Read on for a rundown of ideas for how to fill your calendar. 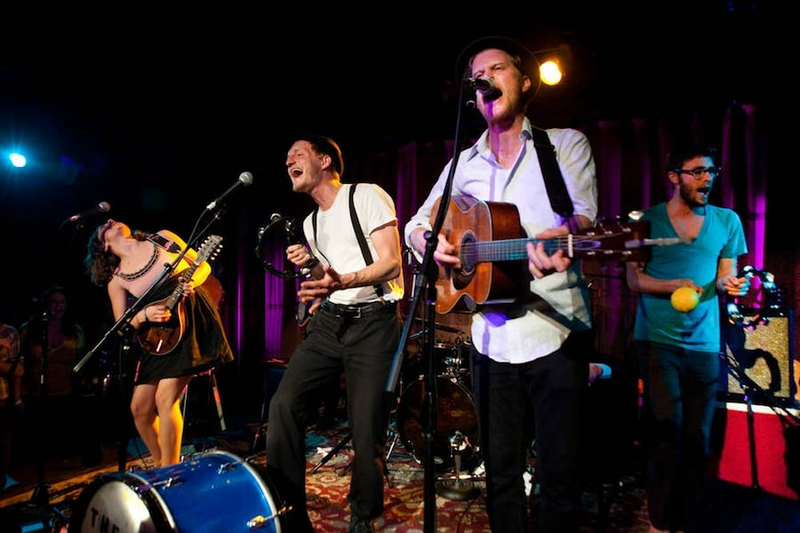 What started out as a once-a-year sold-out holiday show has evolved into The Flat Five. This Thursday, you can catch the pop group making harmonies together at this all-ages show. The group's broad appeal comes from its repertoire of songs, ranging from smooth southern tunes like "Bottom Buck" to the prom-night innocence of "I Could Fall In Love With You." When: Thursday, Feb. 14, 8-11 p.m.
Where: Space, 1245 Chicago Ave. Calling school kids! Discover the treasure trove of stories inside the Museum and invent your own. This program is designed for children ages three to eight and includes read-aloud story zones and interactive activities. When: Saturday, Feb. 16, 11 a.m.-12 p.m.
Catch Chicago Bluesman Ronnie Baker Brooks this Saturday. You'll hear many influences seep into Brooks's music, including one from his own father and mentor, blues legend Lonnie "Guitar Jr." Brooks, who encouraged his songwriting. When: Saturday, Feb. 16, 8-11 p.m. If you're an Elton John fan, catch Burn Down The Mission this Sunday at Space. The tribute band will perform covers of some of Elton John's biggest hits, from "Empty Sky" through "Rock of the Westies." During the show, enjoy a variety of cocktails or beer from Space's full bar. When: Sunday, Feb. 17, 2-4 p.m. Calling all jazz fans! Incorporating genres of funk, hip hop, reggae and blues, the Chris Greene Quartet delivers a live performance way beyond jazz. This acclaimed group, which won "Best Jazz Entertainer" at the 2018 Chicago Music Awards, graces the stage at Space on Sunday. When: Sunday, Feb. 17, 7-10 p.m.